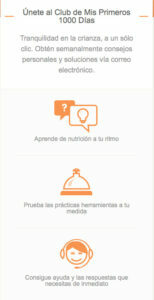 It is World Breastfeeding Week, promoted by the World Alliance for Breastfeeding Action (WABA). In the UK, you can sign a Call to Action to change the conversation around breastfeeding on the UNICEF UK website. Also see the joint statement from UNICEF UK, Baby Milk Action and health professional and mother support organisations backing the call to action. The official WBW 2016 logo, above, spreads the message that Breastfeeding is a key to sustainable development. Baby Milk Action is a member of WABA along with our partners in the International Baby Food Action Network (IBFAN). The WABA materials explain how breastfeeding helps to achieve the Sustainable Development Goals. But this is not just an issue for developing countries. As the Lancet Breastfeeding Series stressed in January this year, breastfeeding improves health outcomes for babies and mothers in rich and poor countries alike (read our summary), as well as benefiting society and the economy as a whole. Most mothers in the UK say they wanted to breastfeed for longer (see our presentation Mothers need support not pressure). So let’s support mothers to breastfeed for as long as they want. How to achieve this is already known. It’s set out in the Global Strategy for Infant and Young Child Feeding – you can find out how the UK is doing from the World Breastfeeding Trends initiative. One area requiring action is stopping misinformation and aggressive marketing from the formula industry. Not to stop mothers from using formula, but to protect their right to accurate information. Formula companies such as Nestlé and Danone have become concerned at being targeted over aggressive marketing practices. They are also concerned at the success of World Breastfeeding Week. Rather than change their marketing practices, their strategy is to try to hijack World Breastfeeding Week. 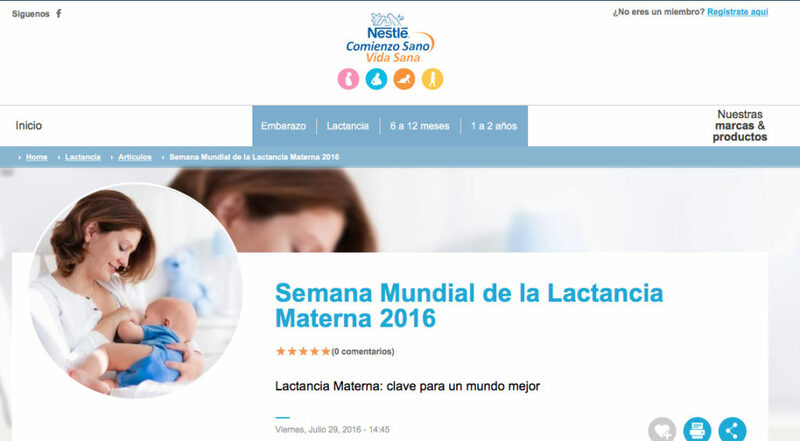 The example below is Nestlé’s World Breastfeeding Week website in Mexico, specifically aimed at pregnant women and new mothers. Why is a formula company hijacking World Breastfeeding Week? Let’s not be naive. Formula companies have two objectives. One: to be able claim to they support breastfeeding. Two: to gain contact details from pregnant women and mothers and sign them up to parenting clubs. In this example, Nestlé is also hijacking the First 1000 Days message used by health and mother support organisation. The first 1000 days is from conception to two years of age. Nestlé tries to become the place pregnant women and mothers to go to for information, inviting them to sign up to its Club and offering immediate help and answers to questions. As we have reported before, Nestlé tells investors its First 1000 Days strategy is to sell the product solutions it produces throughout this period. Sometimes we see a third objective: information on breastfeeding that is either wrong or makes breastfeeding seem difficult to achieve or promotes unnecessary follow-on milks or toddler milks when mothers “move on” from breastfeeding. If you spot formula companies trying to hijack World Breastfeeding Week or other breastfeeding initiatives, please send us your stories or images or post them on our Facebook page. We will add some to a future post on this site.